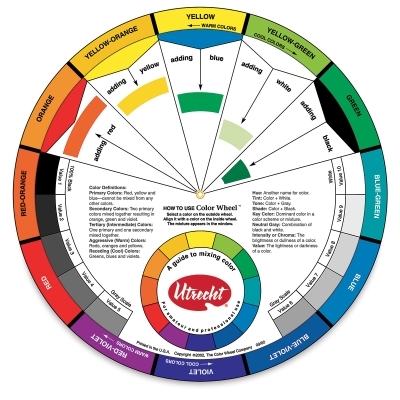 Utrecht's Color Wheel Color Guide is an essential tool for understanding color relationships. This double-sided color wheel organizes colors in a circle so artists can easily visualize how colors relate to one another. The Color Wheel Color Guide contains information on tints, tones, shades, a gray scale, mixing guide, and small glossary of terms. It is 9¼" in diameter.